We created Se7enline® with a single goal in mind: to make the smart life easier. That means starting with affordable, high-quality gear and ending with a commitment to 100% user satisfaction. After all, we're customers too. Our seller warranty guarantees that your purchase is 100% risk-free. If for some reason your purchase doesn't work,we will provide immediately Support. Se7enline® is committed to 100% satisfaction of our customers. If you find any issue with the product, please feel free to email us. We will fulfill your request promptly, hassle-free. 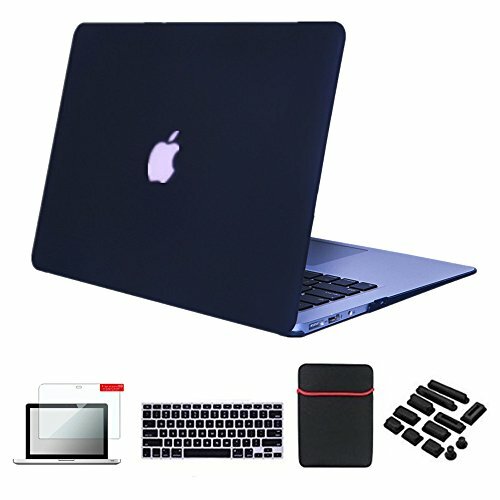 *Keyboard Cover provide the full protection for your Macbook keyboard against dust spills, key wear and more. *The Screen Protector scratch resistance coefficient up to 4H, can effectively keep your MacBook screen safe from scratches.